Highly Quality Control and Standard Non-Destructive Testing will be able to ensure and to submit the strictest demand from our customers. Micro view provides high-end customized & total vision solution. 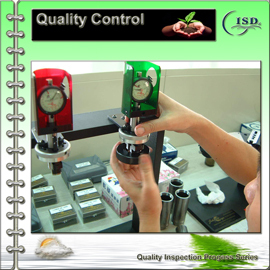 We used the every kind of gauge tools who passed through the International Standard. 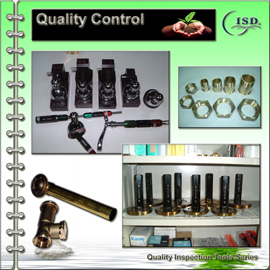 To ensure our products must be to reach these standards by the screw of fittings. We always conform and meet to our customer's requirement with careful and discreet. 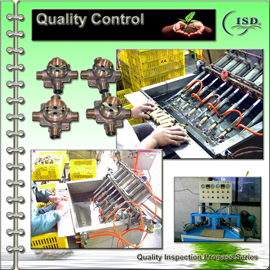 So that, In the quality control and inspections that we were measuring, inspecting and testing continuously when the production process are running for them. As for the key-point of our confirmation, we determined to pass through the quality confirmation which according with the output features by our customer's required expectations. 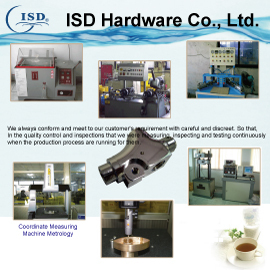 Such as the dimension range, function feature, outward appearance and other characteristics etc. We always do our best to reach our customer's requirement and we believed the perfect satisfaction is guaranteed to our customers. The QA/QC engineers who always dedicated to our best quality products. They use the highest standard to check every step in the production in order to make sure the products finished in the good quality and condition. On Water_Testing program, we used by air pressure to test under water and to survey their quality.